Being a child actor is not all its cracked up to be — just ask Janet Jackson. 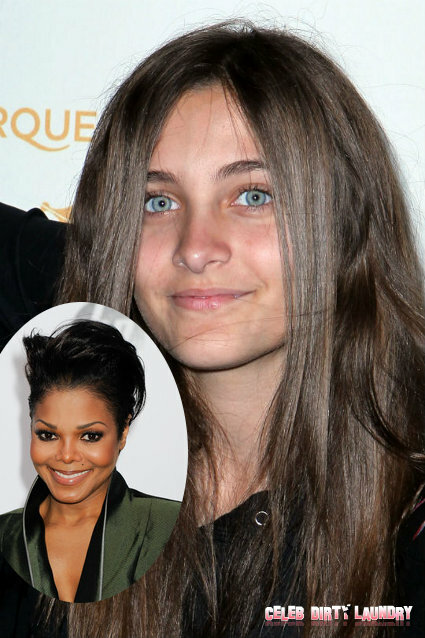 The longtime triple threat has been very candid about being a child raised in the industry and she has given niece Paris Jackson (who just landed her first role at 14) a strong bit of advice. Another thing Jackson has always been honest about is her ongoing weight battle. The Nutrisystem spokeswoman looks amazing, but she well knows that keeping the weight off is a daily struggle. Jackson’s tenacity and honesty about her weight is refreshing. It makes her relatable to other women that also struggle. What do you think about her advice forParis? Is acting at a young age a mistake or might it be good for Paris to escape her world for awhile? Tell us what you think in the comments below!